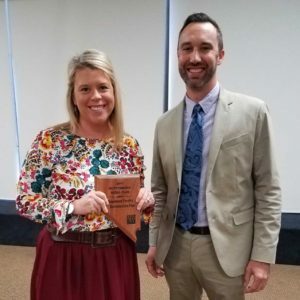 The City of Fernley recently received two DeBoer Awards at the Nevada Chapter of the American Planning Association (APA) Annual Conference. Mayor Roy Edgington was named “Elected Official of the Year”. The elected official award goes to an individual who is elected to a local, state, or a national office who has advanced or promoted the cause of planning in the state of Nevada. Each year, the Executive Committee of the NV Chapter of the APA recognizes an individual who has met this definition. Edgington was selected based on his contributions to the cause of planning in the state. Colleen Unterbrink, assistant to the city manager, accepts the award for award for “Outstanding Rural Plan”. $250,000 CDBG grant for this project; the grant funded the engineering, architectural design drawings and specifications, as well as an environmental narrative to complete the second phase of the Downtown Corridor Revitalization. 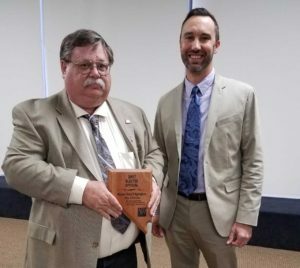 Mission of the Nevada Chapter of the American Planning Association is to promote public involvement and excellence in planning and to improve the quality of life in the State of Nevada through professional development and education.